Jessica Pendola’s longtime leadership experience in healthcare compliance makes her highly qualified for her current position with FastMed. Previously, she held the titles of Senior Associate Compliance Officer for Duke University Health System and Compliance Educator for OhioHealth. 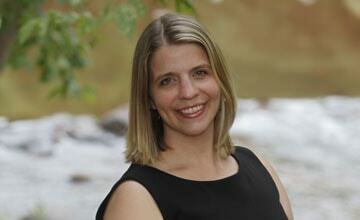 Jessica established FastMed’s compliance program soon after joining our company in 2012. In 2014, she led the initiative to position FastMed as the first and largest, non-hospital-based urgent care group to attain ambulatory care system accreditation by The Joint Commission. Following a successful Joint Commission reaccreditation survey in 2017, she was asked to represent the urgent care industry as a member of the Joint Commission Ambulatory Care Advisory Council. Prior to starting her healthcare career, Jessica majored in management, while earning both a Master of Business Administration and a Bachelor of Business Administration from Mount Vernon Nazarene University.